Chiropractor in Janesville, WI | Damrow Chiropractic Office, S.C. Welcome to Damrow Chiropractic Office, S.C.
Damrow Chiropractic Office, SC, is proudly serving Janesville, Wisconsin and the surrounding communities of Beloit, Milton, Orfordville, Footville, and Delavan since 1914. 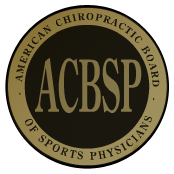 James Damrow, DC, CCSP and Tina Byrnes Pierce, DC strive to deliver excellence in chiropractic care so our patients can receive the best treatment to optimize their health. We commonly treat sports injuries, including soft-tissue injuries likes sprains and strains. We often see patients for back or neck pain, headaches, or stiffness related to osteoarthritis. We believe that structure dictates function, so we work to improve your posture and mobility. If you can move better and have less spinal stress from poor posture, you will be able to accomplish more, exercise more freely, and live a better, healthier life.